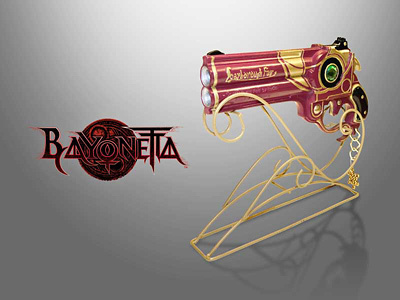 As an update to the last Magpie article on the Bayonetta Collector’s Sets and goodies, it is now confirmed that Gameplay.co.uk and game.co.uk are offering the desireable Scarborough Fair pistol and stand as a pre-order bonus item with both the Xbox 360 and PS3 versions of the game. As far as Sketchstone.com is aware, these are currently the only places in the UK to get hold of one of these little devils without resorting to importing an Aussie set. Should this change, further updates will follow. Anyone looking to snap one of these up needs to move fast since it is a very limited offer and unless you want to be paying over the odds on Ebay in a few months time, you’d be wise to invest in a pre-order now. Game are displaying the replica gun edition too.